The most delicious part of the muscadine grape is the juice that lies beneath the skin. 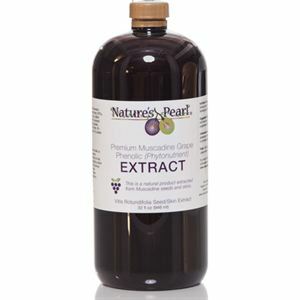 Plus, enjoy the antioxidant benefits of Nature’s Pearl® all natural 100% Muscadine Grape Juice! * Please note there is a $12.25 handling fee plus regular shipping fees on this item. 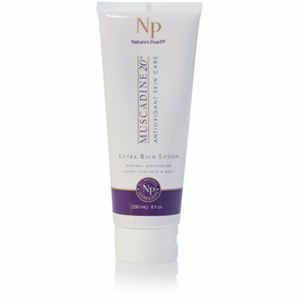 Muscadine grapes are known for their high antioxidant qualities. 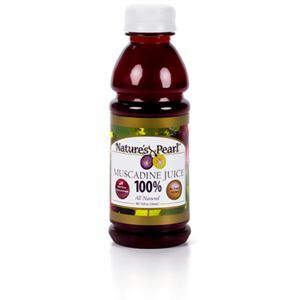 Nature’s Pearl® 100% Muscadine Grape Juice contains over 100 naturally occurring phenolic compounds such as ellagic acid, reseveratrol, quercetin, anthocyanins, OPC’s and more! These particular grapes are grown in stressful environments, which propel them to produce more disease-fighting phenolic compounds. This provides you with antioxidants to help combat free radicals. Drink a glass and enjoy the unique flavor and health benefits of this delicious antioxidant-rich 100% muscadine grape juice! * Includes 24 bottles (10 fl. oz. each). • More powerful than: blueberry, pomegranate, açai berry, cranberry and many more! Vitamin C, Iron, 100% Muscadine Juice, Erythorbic Acid and Sulfur Dioxide.